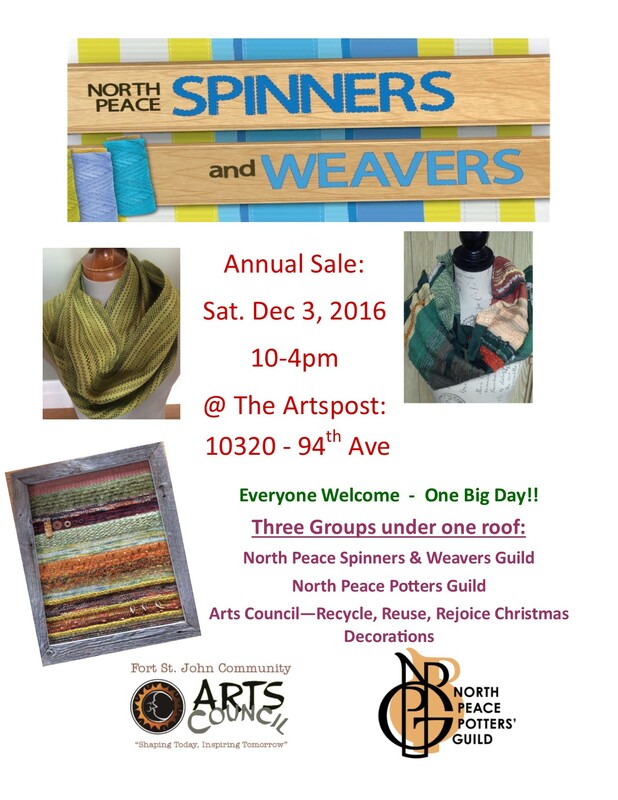 The North Peace Spinners and Weavers are a group dedicated to the Fibre Arts. They maintain a working space at the Artspost at 10320-94 Avenue and hold workshops and retreats throughout the year. They also display their work at many community events such as the Fall Fair and Canada Day.